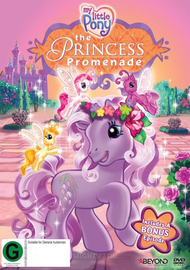 My Little Pony: Princess Promenade animated children's TV series on DVD. WYSTERIA is beaming with pride! 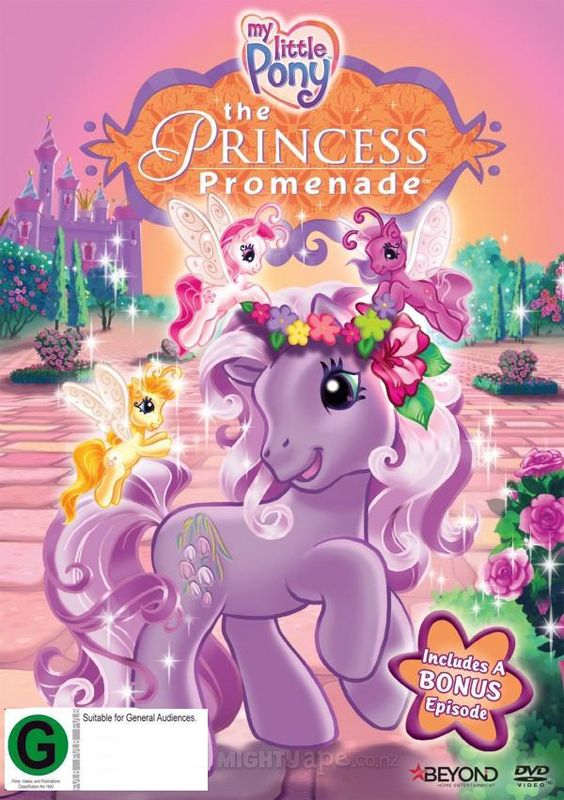 Her gardens are in bloom, her little BREEZIE friends are in town, and it’s time for Ponyville’s fan­ciest spring parade, the ultimate celebration of flowers, flowers, flowers! But things don’t go according to plan when WYSTERIA accidentally awakens SPIKE THE DRAGON, a sleepy, silly, 1,000-year-old dragon! For you see, legend holds that when a dragon is awakened, a new princess is about to be crowned! But who is the Princess of Ponyville? Come along to The Princess Promenade and discover what it takes to be a princess… what it means to be a friend… and why it’s important to be true to yourself, no matter how you wear your tiara!